In the year of 2014, there have been several controversial officer-involved shootings. Many of these have been directed towards black or hispanic victims. Officer-involved shootings have occurred in places like Bellflower, CA., Florence, SC., Inglewood, CA., Compton, CA. 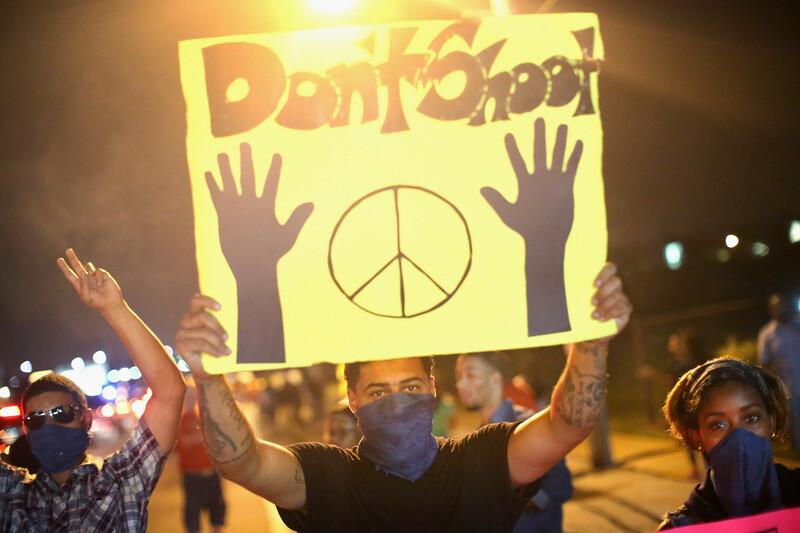 and, as many have heard recently, Ferguson, MO. Within the Homicide Report database, there are twenty-two deaths in 2014 that fit the guidelines of a black or latino male killed in an officer-involved shooting. Switch those categories to a white male killed in an officer-involved shooting? Three deaths. Coincidence? I think not. Many of the officers reported in these shootings have been white as well. With facts like these, it’s difficult not to think of these deaths as acts of bias reasoning or racism. After the death of Michael Brown on a Sunday at 2:15, unarmed and shot multiple times, news announcer Lawrence O’Donnell conducted an interview with eyewitness Tiffany Mitchell on what she saw that day. During this interview Mitchell brings up the point that cop cars should, and most do, have operating dashboard cameras that could have, in this situation, captured some footage that could confirm what happened. When Mitchell points this out, O’Donnell seems to change and disregard the subject. A little suspicious maybe?